Reducing assembly and disassembly time. 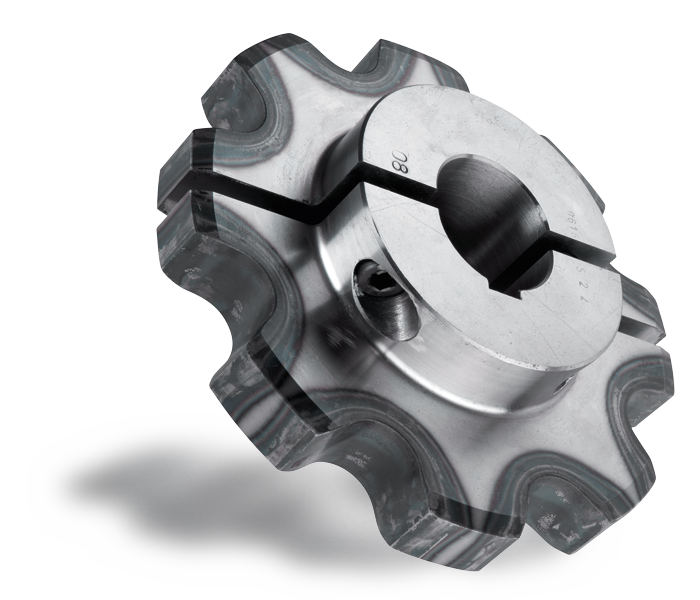 A split sprocket helps to reduce the laborious assembly and disassembly time during maintenance and installation. Every sprocket can also be manufactured in a split variant. The sprocket has no disadvantages at all as opposed to a traditional sprocket and is secured by screws across the split joint. In this way the sprocket fits perfectly on the shaft. During the revision of the system, the sprocket therefore does not have to be disassembled from the shaft in a time-consuming manner.